Jim Bergan, Founder of the Cannabis activist brand Weed Be Better Off, may be one of the most humble men in all of cannabis. He created the Weed Be Better Off brand, truly out of a passion for cannabis activism. The brand is catchy and pretty cool, but Jim is beautifully humble about that fact. To him, Weed Be Better Off is a movement and a lifestyle. In his eyes, we all would truly be better off with nationwide (worldwide) cannabis legalization. I was first drawn to Jim’s brand, and then further to his authenticity. He does his work in cannabis so sincerely from his heart that I wonder if he really knows how powerful and valuable Weed Be Better Off truly is. I was honored to sit with Jim and learn more about his story and what led him from being a golf professional to a cannabis advocate and entrepreneur. CM: Jim, I am stoked to hear more about Weed be Better Off! 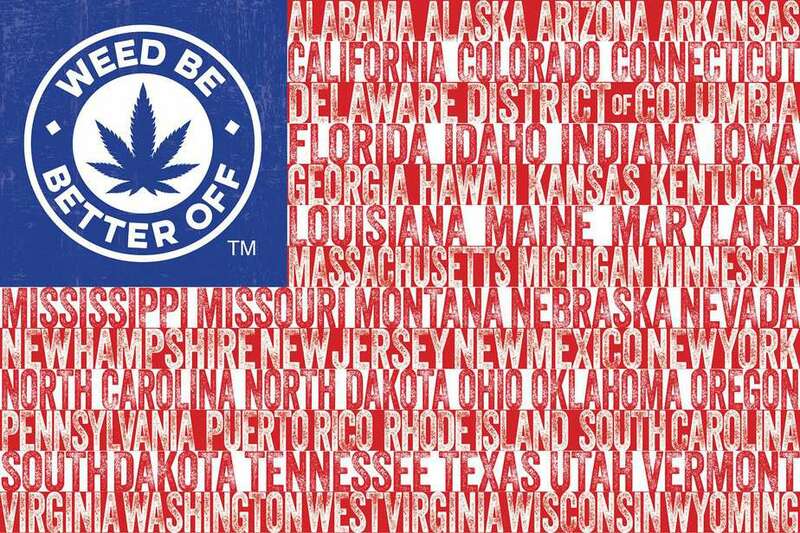 I dig the message and really admire the fact that the brand gives back to cannabis activist groups. First, I want to know more about your roots. Where are you originally from? Jim: I was born in Washington D.C. and was raised in Northern Virginia. CM: Where are you living now? Jim: Now I am living in Mesquite, Nevada working with one of the most distributed cultivators in the state. CM: Can you tell me a little about your career path thus far? What was the path from Washington D.C. to Mesquite, Nevada? Jim: I graduated College in 1989 in Washington D.C. I moved to Southwest Florida after college, where I worked in the golf industry. I worked in that industry until about 2003. Moved back to Virginia where I owned and operated a Landscaping company until 2015. I jumped on an opportunity to enter the legal cannabis industry in Nevada late 2015. I have been here since. CM: Where in all of that did you develop your interest in cannabis? Jim: I began to grow an affection for cannabis late in high school, probably about 1984. It was definitely an, “Underground” thing, with a bad stigma. But on the other side, it opened up a whole new world. A world in which I was very curious. I started to wonder, why society thinks cannabis is such a terrible plant. Cannabis gave me a whole new perspective on things. Why does society scorn the user? 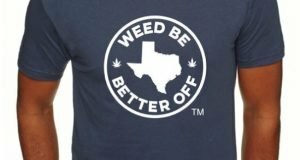 CM: So, did seeing the treatment of cannabis consumers ultimately inspire Weed Be Better Off? Or was there some other inspiration? Jim: I started Weed Be Better Off in 2014 to further promote the legalization of cannabis and hemp. I guess it was a coming out party, so to speak. Everything I have experienced in the past, and all the hard work, and sacrifice brings me to where I am now. I only had to hear it once, from one of my ailing clients in the black market back in Virginia. “You helped save my life.” That was all it took. I knew I had to be a more powerful force in the cannabis industry. CM: Wow, that sounds like a really powerful experience, having someone say that you saved their life! Not everyone gets to experience something like that in their lifetime. Once you knew that you had to be a more powerful influence in the cannabis industry, how did you develop the concept of Weed Be Better Off? Jim: I was in Colorado one day and it just came to me. The idea was to start a company with a focus on creating a discussion on the legalization of cannabis and hemp. I am sure my surroundings and the smell of freedom in the air may have had an influence. I had the idea first, and then asked for some assistance from some friends to help develop, Weed Be Better Off. We created a website, blog, and an online store on the website to purchase WBBO attire, and products. Then I decided to give my new brand a small market test. I wanted to test and see if the brand would be accepted by the cannabis community. CM: How did you perform the market test? Jim: I attended a cannabis event and expo in Washington D.C. I made a few hundred shirts, and set up a booth. CM: Just you and a booth huh? That’s bold. And how did it go?! Jim: I was received graciously, and sold out of shirts in a day and a half. The very next day my brand was covered in the Sunday edition of the Washington Post. We also received some publicity from the Huffington Post, CNBC, as well as being covered, while at the event by the local Washington D.C. affiliates. Jim: It really felt incredible! I later took a greater chance, and decided to test a much larger market. The High Times Cannabis Cup in Denver a few years back. A three-day event, that would host 50,000 people. It was a blast and the brand started to get a bit of traction. The cannabis community enjoyed the brand, and the reviews have been positive. 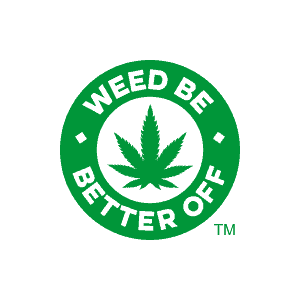 Weed Be Better Off has been called, “creative and thought provoking.” That is exactly what we want to be. We want to further stimulate a discussion on the legalization of cannabis and hemp. Jim: In my vision, I want the company to ways do its part, to make a lasting impression on the cannabis community, society, and beyond. Jim: My first real experience with cannabis happened in 1984. I was the captain of the basketball team in High School back in Virginia. We were not very good (laughter). In 1984 we had 10 teams in our conference. 6 of those teams were in the top 20 in the nation. I had visions of being a Division 1 basketball player. Admittedly I was a little high strung. A real rah, rah, guy. Some of my great friends and teammates, suggested I go with them, and led me to their car. They proceeded to drive around our school a few times, while we passed around a bowl or two. I was not a partier by any means. My buddies just thought that if I could take a different perspective on things it would greatly help my development, and they were right. I immediately threw away the pop music I was listening to, and within weeks I was following the Grateful Dead (laughter). My favorite experiences with cannabis all involve friends. CM: Cannabis made you Dead Head!? Jim: You know it! It’s some enlightening stuff (laughter). CM: Other than at a Grateful Dead concert, what are some other events we might find you at? 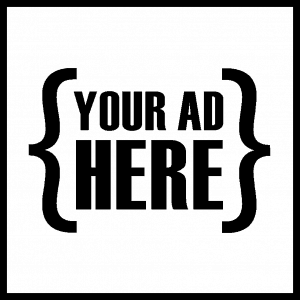 What are some cannabis industry events you think are important and meaningful to attend? Jim: Go to any NCIA (National Cannabis Industry Association) event and it will expose you to the leaders in the cannabis industry. The NCIA events are a great opportunity to hear the leaders in the industry speak. 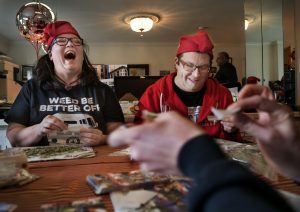 High Times Cannabis Cups, which now happen all over the country, are a great way to expose yourself to part of the cannabis culture and experience. Not that it’s an event, but I believe that Amsterdam is one of the greatest, most accepting cities in the world for obvious reasons. There needs to be more Amsterdam’s in this world. Also, the Colorado scene is fantastic. I am a BIG fan of Boulder, CO.
CM: Those are classics! I agree NCIA is definitely good on the professional side and Cannabis Cup more so for the old school cannabis culture experience. Also, LOVE Amsterdam, it has cannabis and SO much more to offer! 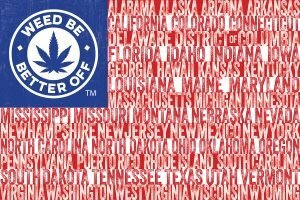 Speaking of listening to industry leaders, what are your thoughts on the steps this country’s leadership needs to take in terms of cannabis policy? What are the priorities in your opinion? Jim: In all honesty, they need to figure out how to legalize cannabis across the board. It is not always fair that someone in one state has access to legal cannabis to treat their symptoms, while another person 10 miles away, in another state faces prosecution, seeking the same medicine. CM: You’re totally right. 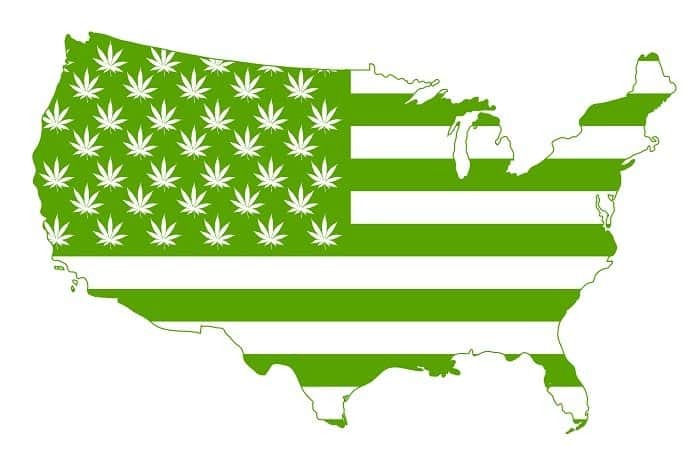 It’s bizarre how differently cannabis is treated on a state by state basis. I have seen the incongruence in legality confuse cannabis patients, and make it difficult for them to keep up with which states they are safe in and to what extent they are safe. Jim: Obviously, I would like to see cannabis removed off the Schedule 1 list. Let’s get cannabis to those that need it first, then to those who want it. Then everyone can remove the stigma of cannabis. I would like to open the jail cells to release all non-violent drug offenders. Legality in all 50 states would be ideal. There are pioneers who have been working on these issues for decades and they are the reason that any progress has been made at all. CM: Jim, you really have seen cannabis come a long way. Do you have any insight into what the main areas of industry growth will be over the next few years? Jim: You know, I am no expert on that. I would like to see hemp have more of a presence, and be recognized as a solution rather than a problem. And I really hope the main growth will be within the government. They have to realize that everything they have believed about cannabis has been incorrect. It’ll be a real shift of mindset. 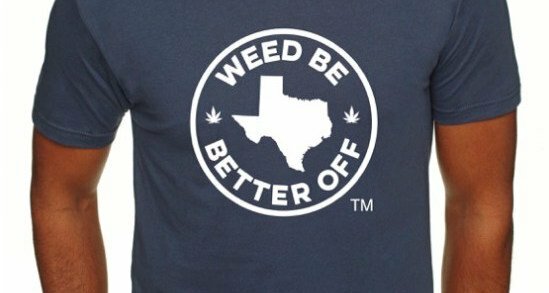 CM: Would you call it a mindset change with which Weed Be Better Off? CM: Jim thank you so much for sitting down with me. 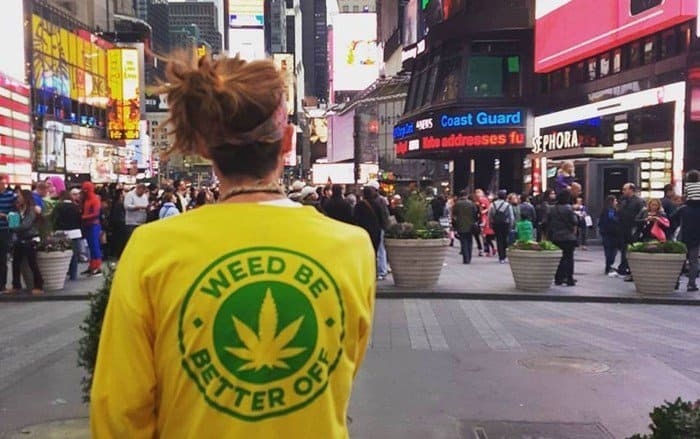 I look forward to watching Weed Be Better Off continue to develop as a trendy and socially active brand in the cannabis industry. At a conference in November I heard a speaker predict that some pioneers would be leaving the industry this year. Do you think that you are in cannabis for good? Jim: I sure hope so. I know cannabis will continue to be a part of my life. It took me 49 years to figure out what I want to do with the rest of my life. Thank You Cannabis for bringing me the answer. Thank you Cannabis Magazine for having me. It’s been a joy to spend this time with you.